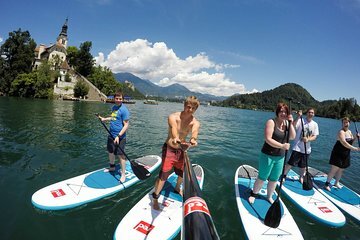 Enjoy an outdoor adventure on Lake Bled on this tour from Ljubljana. With a guide, you'll go stand-up paddleboarding on the lake, enjoying this popular destination in an active yet relaxing way. Plus, take a short hike to admire the lake from another perspective and receive free time to explore Bled on your own.